He was an awkward kid who wore the same clothes to school every day. New details about Adam Lanza emerged as Newtown wrapped up a wrenching week of farewells, with funerals scheduled Saturday for three of the slain children. Lanza slaughtered 20 children and six adults during the Dec. 14 rampage at Sandy Hook Elementary School. 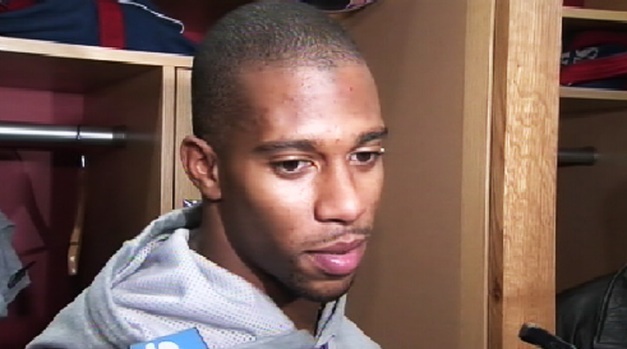 Victor Cruz met with the family of Jack Pinto, who was killed in the Sandy Hook Elementary school shooting in Connecticut. Cruz discussed his heroes at 6 years old -- his dad and Michael Jordan -- and talked about playing with some of the local kids on his visit to Newtown. In high school, Lanza would walk through the hallways, awkwardly pressing himself against the wall while wearing the same green shirt and khaki pants every day. He hardly ever talked to his classmates. 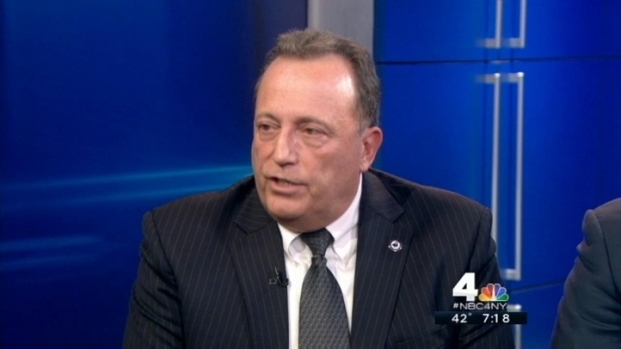 Erika Tarantal sat down with Dr. Richard Bozza, Executive Director of the New Jersey Association of School Administrators, and Michael Balboni, former New York State Homeland Security Director, to talk about school safety in the wake of the Sandy Hook Elementary shooting in Newtown, Connecticut. Lanza seemed to spend most of his time in the basement of the home he shared with his mother, who kept a collection of guns there, said Russell Ford, a friend of Nancy Lanza's who had done chimney and pipe work on the house. Ford said Nancy Lanza didn't elaborate on what type of services she wanted her son to receive. He said she made fewer appearances at the restaurant in recent months. Also on Friday, the National Rifle Association called for armed police officers to be stationed at schools. Wayne LaPierre, CEO of the nation's largest gun-rights lobbing group, said at a Washington news conference that "the only thing that stops a bad guy with a gun is a good guy with a gun." The founder of a video game website said he expects tens of thousands of players of online shooter games to participate in a 24-hour cease-fire that started at noon Friday. Antwand Pearman, founder of GamerFitNation, said the cease-fire is meant to show respect for those killed in the Newtown shooting. He said video games don't cause violence. Services are scheduled Saturday in Connecticut for 7-year-old Josephine Gay and 6-year-old Ana Marquez-Greene. A service was also planned in Utah for 6-year-old Emilie Parker. A spokeswoman for the Connecticut Funeral Directors Association says the last victim funerals it knows of are taking place Saturday, although some of the burials are private. Associated Press writers Matt Apuzzo in Washington and Pat Eaton-Robb in Newtown contributed to this report.